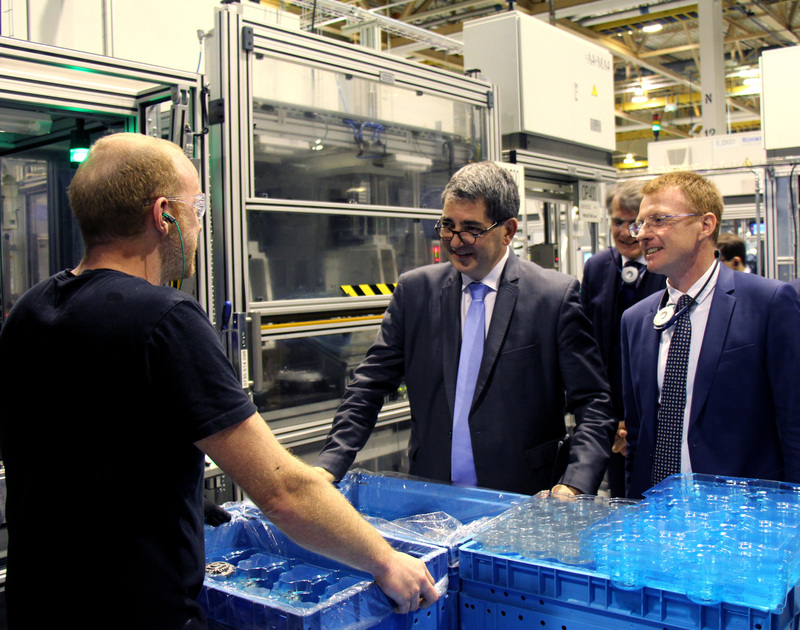 Jean Rottner accompanied by Arnaud Baïlo, CEO of PUNCH Powerglide Strasbourg and by Guido Dumarey, CEO of PUNCH Group, during the company visit. Punch Powerglide Strasbourg had the pleasure to welcome M. Rottner, President of the Grand Est Regional Council in France. M. Rottner has expressed his interest in our latest innovative projects such as our plug-in hybrid transmission project and state of the art manufacturing process.